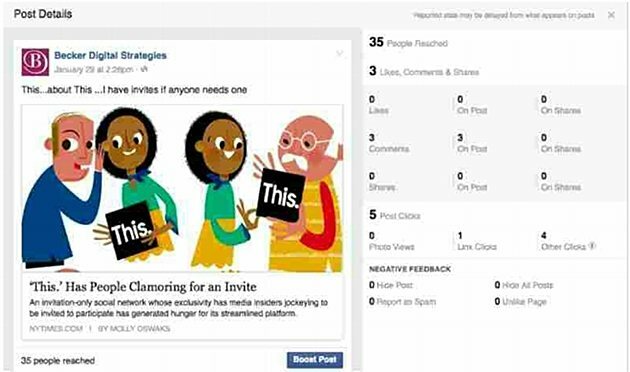 Here’s a tried and true way to dramatically increase content success on Facebook: Post engaging content! But the starting point is your overall approach to content. Many Facebook managers start the content creation process from their organization’s perspective, with a goal to share their story and their message. Because the organization’s message is the most important thing, it seems the logical place for beginning the creative process. However, if you approach the content creation process in exactly the opposite manner—with your fans’ needs first… with your organization’s messages, campaigns, and values as resources to serve up the content your fans need—your content will consistently engage more people, earn more reach, and ultimately have a larger impact. Here are seven habits of engaging Facebook content creators. Before you even begin posting content, you should evaluate and gain a solid idea of your audience: “Does it consist of women, seniors, Americans…?” If you have Facebook personas, that’s even better. However, the people you want to be interacting with via your content may be different from those who are actually engaging with your content. To have a well-rounded picture of the difference between your intended audience and people who currently engage with your Facebook page, head over to the “People” tab in Facebook Insights; you’ll find demographics for fans, the people reached by your page, and the people engaged by your page. Think carefully about your message: what you’d like to say and how it maps to your audience’s motivations. One of the main reasons people engage with content on Facebook is that doing so helps them show their friends who they are and what they care about. If your goal is to increase your base, your fans are in constant need of content they can engage with to continue to define their social self. When fans engage with this content, what will that say about them to their Facebook friends? Does this content align with what I believe my fans want their friends to think of them? If I were to see this in my News Feed, would I engage with it? Highly effective Facebook content reflects your audience’s preferences. From your fans’ point of view, what format would be best received—video, images, text with a quote, etc.? Smile-worthy. Post things that Facebook fans can share with friends to make them smile. If you’re creating content for an organization with a serious mission, look for tasteful ways to inject humor. Inspiring. Content that inspires does consistently well. Many Facebook users want inspiring content to be a part of their personal narrative. Informative. One of the best ways to build a network on Facebook is to be a trusted source of information. Dig deeper and you’ll discover that your fans want to be a trusted source of information to their friends, which leads your fans to share your informative content. Timely. Some of the highest-performing content concerns current events and issues that people are passionate about. Keep your eyes open for content your fans care about and help them be seen as the first to know about it. Don’t be afraid to test content types, and certainly don’t be afraid to fail. In the process you will learn where your content strengths are and hone your understanding of your audience’s content preferences. Use your data to develop a sense of the base level of content engagement, and measure against it. 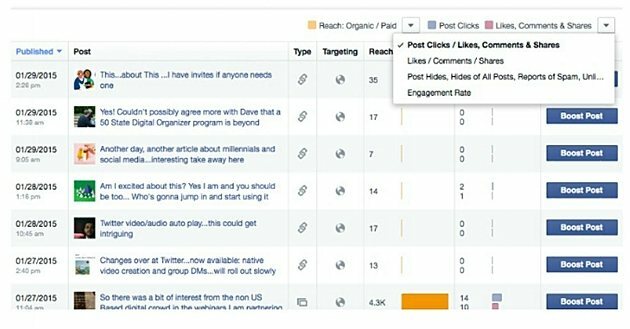 The “Posts” tab on Facebook Insights will be incredibly helpful, providing insight into engagement and reach. To understand success at a micro-level, you can also look at metrics for individual posts. Facebook provides data such as people reached, likes, shares, and even whether someone liked your post via someone else’s shared content—a good way to see where extra shares and likes come from. You’ll find a vast number of sources on the best days and times to post, but the right time for you should be informed by your audience. 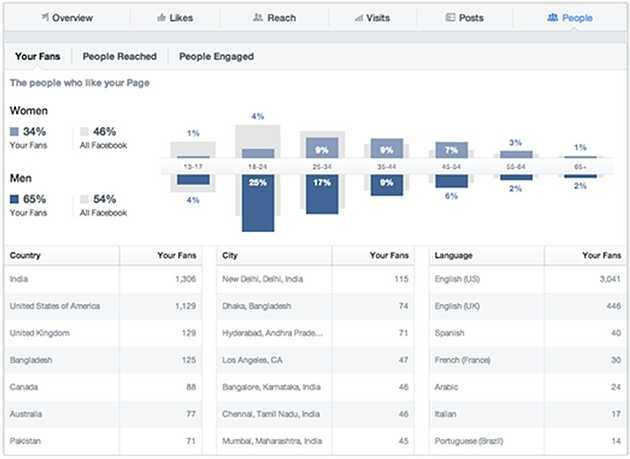 Again, Facebook Insights has powerful things to say about when your audience is online and most active. However, use that information only as a general guide: That information deals with when fans are online, not when they are actually interacting with your content; and most posts are seen in a user’s News Feed, not on your page at the moment you post it. Accordingly, I suggest page managers create (or purchase) their own tracking system that correlates audience engagement with posting date and time. Over time you’ll see which days and times perform best for your content. Successful Facebook content is goal-oriented—as either part of a bigger campaign or in the sense of a goal for the specific post itself. Whether you’re looking to raise awareness or obtain email addresses from petition signers, each piece of Facebook content should work toward a specific outcome. Over time, new people join your audience and bring with them new preferences; as a result, your audience preferences can change. Keep tabs on your audience to check whether what you thought you knew about it still applies. And be willing to try new things as you audience changes. If you are effective at understanding your audience and posting content fans want to share, your engagement should grow. If not, it’s time to take a step back and analyze where you might be going wrong. Think through these seven habits as if you were a member of your own audience and ask how your content could be more engaging. Think in terms of trends and what generally works for your audience, keeping your finger on the pulse of your content’s ongoing performance, and you’ll unleash the power of highly engaging Facebook content.